Beef prices are on the rise, so knowing what to do with an otherwise dull and tough cut of meat can mean the difference between a ho-hum and awesome dinner. This week the local grocery had a great price on bottom round roasts which means only one thing: sliced hot Italian beef sandwiches. The round roasts come from the rump or rear of the beef. This area is highly muscular and tends to be quite lean. That’s why steaks or roasts from this part of the animal can be quite dry and tough if improperly cooked. Often times slow cooking, or braising methods are used to coax the toughness out of the cut and make the beef fork tender. 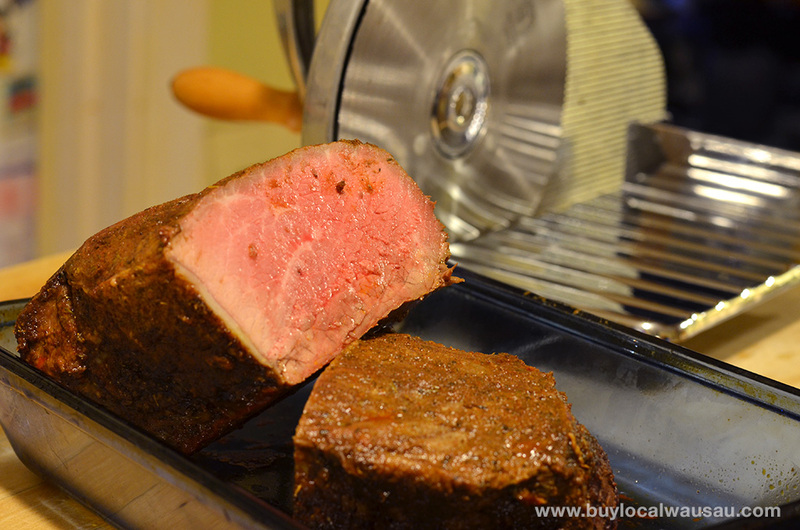 I tend to prefer another approach, using a flavorful spice rub, and slicing the meat paper thin against the grain. The top round is a bit leaner than the bottom round, but both are great, inexpensive cuts to choose when roasting and slicing thing. French dip or Hot Italian Beef is one of those make-ahead types of dishes since the preparation can take several hours. 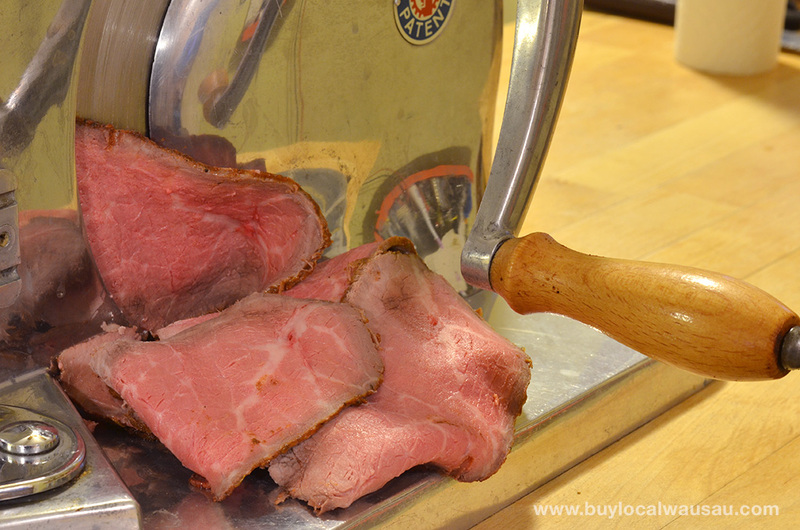 It’s a great rainy day Saturday activity- make and slice the beef ahead of time and freeze it for quick weekday sandwich meal. 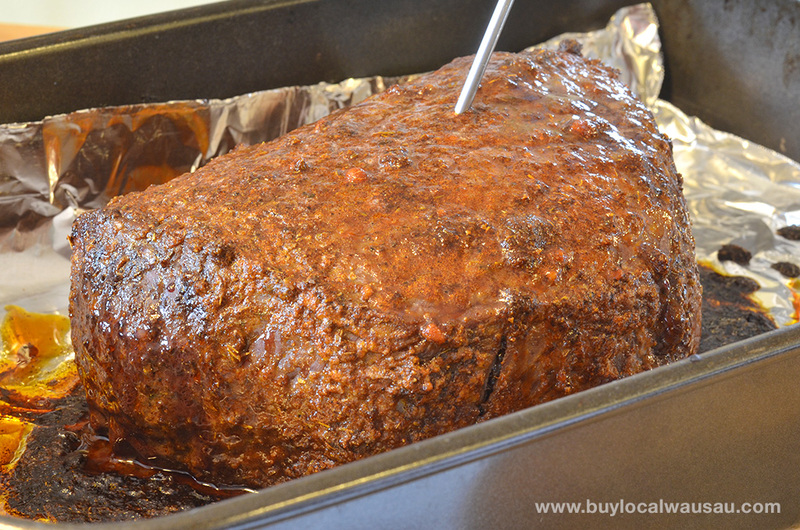 To reheat, prepare an Au Jus sauce (see the end of this post) and warm the chilled beef in the hot sauce. Serve on thick Italian rolls with pickled pepperoncini, sauteed onions, and provolone cheese, or make your own Ciabatta rolls. 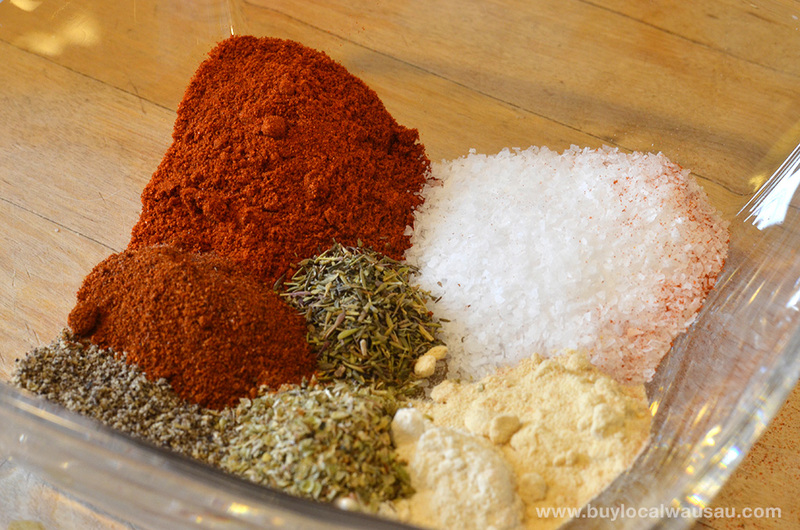 Mix spices in bowl, add oil and let sit for 15 minutes. 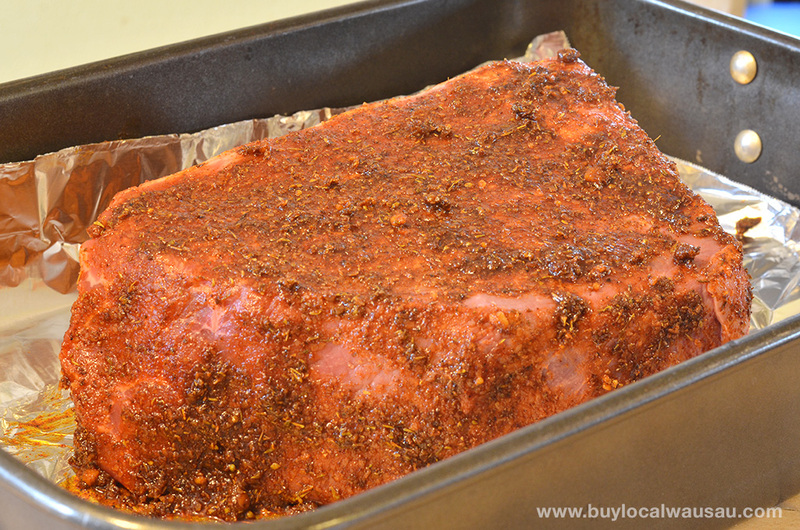 Rub cut of meat entirely with spice mixture and place in a foil lined roasting pan. Roast the meat in oven at 350 degrees until center is 115 degrees (about 60-90 minutes). 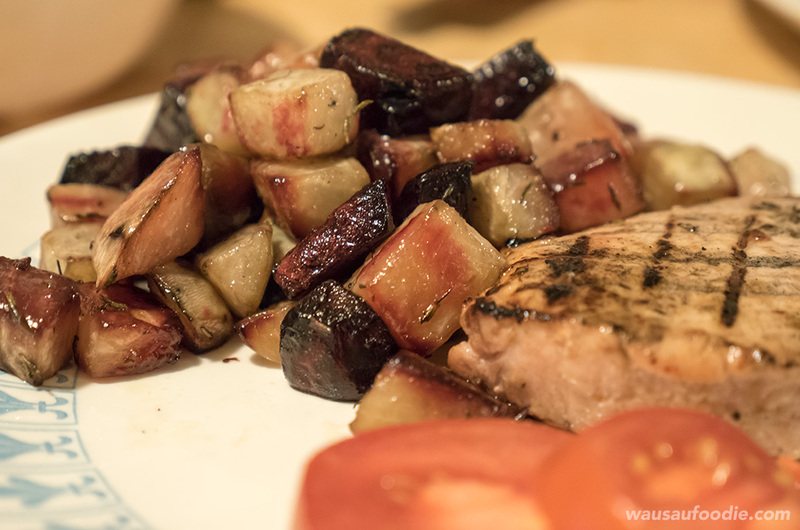 Turn off oven and let roast sit until it reaches 145 degrees (30 minutes additional). 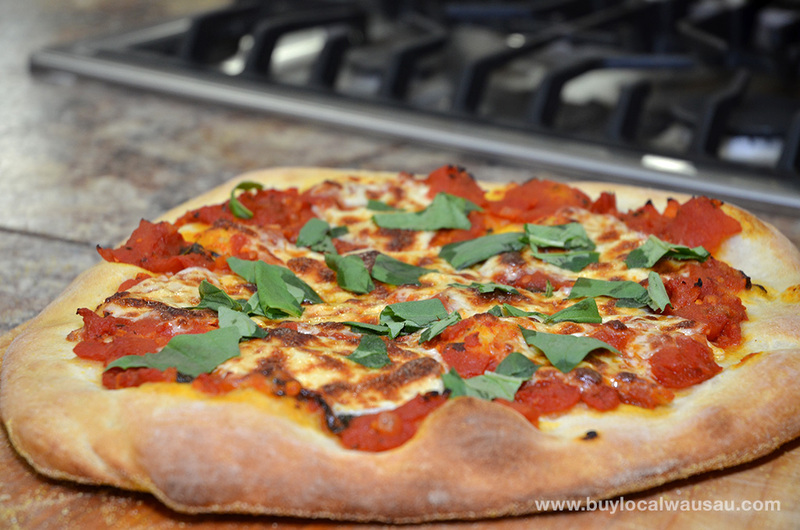 Remove from oven, cover with foil and let rest 30 minutes. 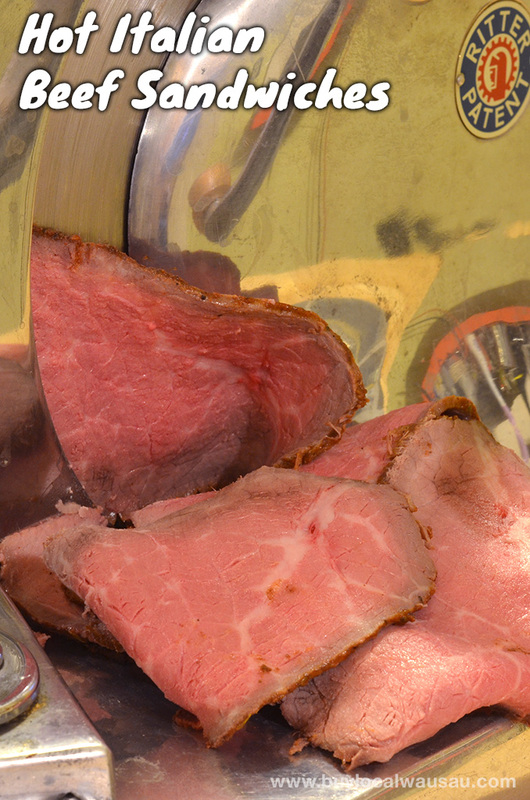 To slice the meat, use a meat slicer or sharp slicing knife. Slice meat across the grain in about 1/8 inch slices. 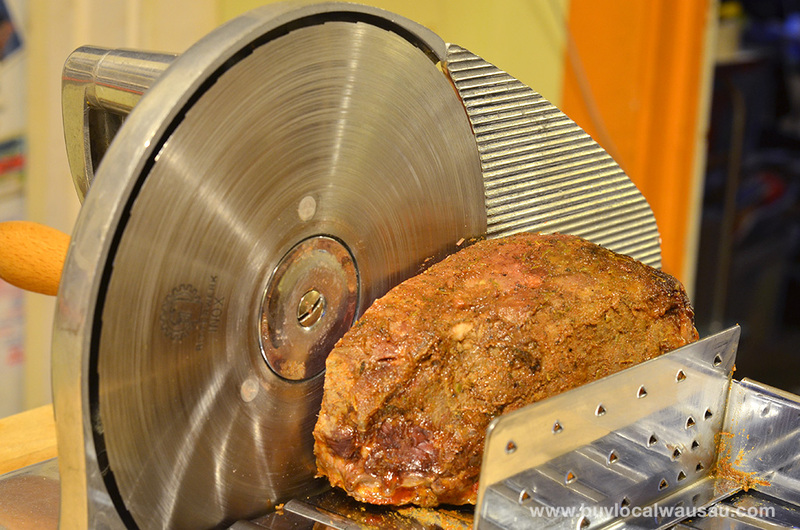 The bottom round is composed of two muscles that connect, so you may need to reorient the roast while slicing to continue cutting against the grain. 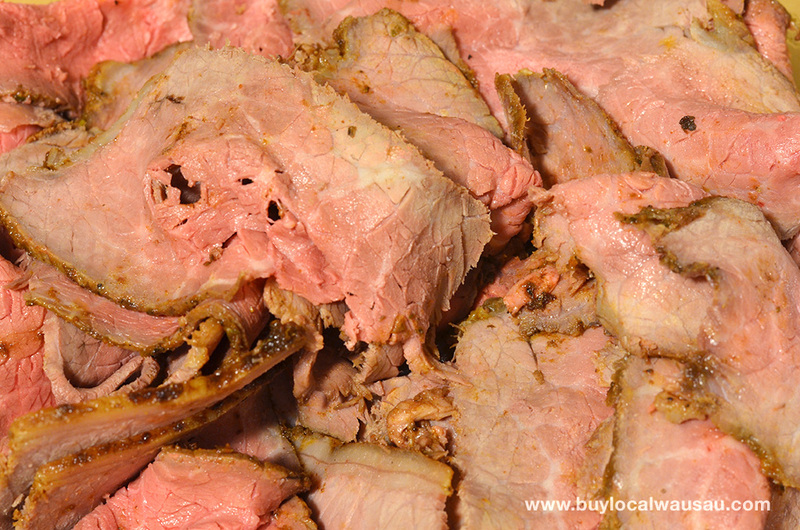 Package and refrigerate or freeze the sliced beef for later consumption, or prepare an Au Jus sauce and eat now. These lean roasts won’t produce much in the way of pan drippings, so a quick Au Jus will give you the sauce necessary for a mushy, sloppy french dip or hot italian beef sandwich. Saute onion in olive oil until translucent (about 5-7 minutes). Add garlic and saute one additional minute. Pour in beef stock, add worcestershire and bring to a boil. Use a strainer to remove solids. Add half to warm the beef and reserve the rest for additional dipping.